The Fair Trade Commission (FTC) has reportedly raided Abbott Korea, the top player in the local cardiovascular stent market, on allegations against illegally supporting doctors' participation in domestic and international conferences. The investigation was the second one since the FTC had watched the company for the rebate allegations. The antitrust agency looked into the company in 2013. Under the fair competition agreement among medical equipment makers, companies can financially support, including meals and airplane fee, doctors invited to overseas conferences. However, companies can only provide the money indirectly by donating to the conference, as the regulation strictly prohibits funding of leisure activities such as local sightseeing or golf. 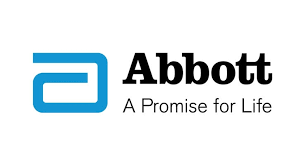 According to Newstapa, a local investigative media outlet, Abbott Korea has continued to offer such entertainments to doctors, and paid travel fees for the doctor’s family members and arranging their tour schedules as well. The company also requested the organizers of international conferences to invite doctors close to the company to support them. The act is also against the fair competition regulations as companies can arrange which doctors can participate in such conferences. An audio recording of Park Dong-taek, president of Abbott Korea’s Cardiovascular Division, showed he told his employees to support doctors but not leave any records in the process. The audio was more shocking as it was recorded only four months after Abbott received a correction order from the FTC for paying for overseas conferences for doctors. All this shows Abbot Korea’s CEO directed his employees to keep supporting doctors even though it was deemed illegal. Various other sources have confirmed that the top corporate watchdog is conducting a more intensive investigation based on the fact that the company has continued to perform illegal activities despite the FTC investigation and sanctions. They expect the FTC will focus its investigation on whether the company has provided illegal or unfair monetary support disguised as subsidies for overseas research conferences and training support. “Support for educational programs and academic conferences is limited to the extent permitted by Korean medical device technology and fair competition regulations,” the investigative media quoted Abbot headquarters as saying. Failure to comply with company regulations may result in immediate disciplinary action, including dismissal, the company added when it was not fully aware of details of the second investigation by FTC.